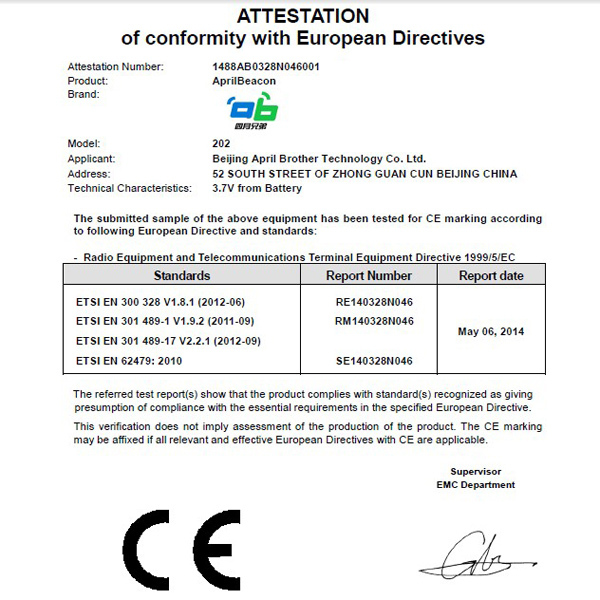 Company Overview - Beijing Aprilbrother Technology Co., Ltd.
6YRSBeijing Aprilbrother Technology Co., Ltd.
Beijing Aprilbrother Technology Co., Ltd. specializes in integrated circuit design, RF chip of internet of things and other development and selling for application system or products. With a joined force from our competent R&D Dept., hard-working workers and sales team, we have formed a professional team to provide you with a series of Bluetooth4.0 products. As a trustworthy manufacturer, our company has been receiving excellent reputation in the production of IBeacons from our clients.We focus on quality and long-term cooperation. We will respond to your email at the first time. We are looking forward to cooperating with you!